The story of Steve Jobs is the one of a passionate leader who inspires others to achieve the goal of building a leading technology company. It is true that his passion not always brought about the best results, like when he was separated from the company that he created. 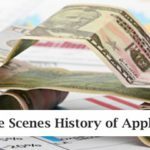 Years later, after being dismissed, he returned as a CEO rising, a shining star, and Apple shone with him. Jobs’ leadership is a clear example of how important leadership is in a company. Leaders cannot be running their own companies forever. The time comes when they have to step down and let somebody else take the reins. Jobs was no exception. 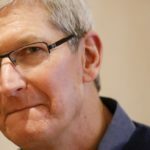 A long-time battle with cancer made him step-down as director of Apple and Mr. Tim Cook was transitioned into the top post at Apple. A lot of doubts arose when this transition was announced. Will Mr. Cook be as innovative and inspiring as Mr. Jobs was? Will the new CEO of Apple be able to launch revolutionary products into the market? Is Mr. Cook the right choice? 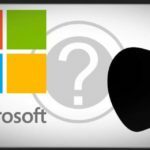 Now that the founder is gone, will Apple continue to be a leader in innovation or is it doomed to fail? 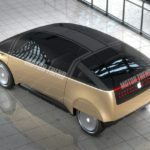 Veteran journalist Yukari Atwani Kane set herself to the task of investigating how the future would look for Apple after Jobs’s departure and Cook’s arrival. 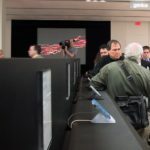 With 15 years of experience writing about technological markets and three years covering Apple for The Wall Street Journal, Kane’s opinions regarding Apple, its leaders, and future prospects are to be respected. 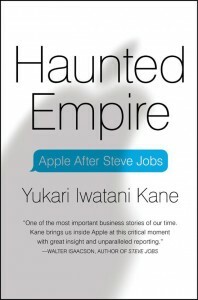 She published the results of her findings in a book titled “Haunted Empire, Apple after Steve Jobs”. Her book has raised a lot of polemic and divided opinions among those who see Tim Cook as Apple’s new shining star and those who believe that Apple’s days of glory are already over. As stated previously, the book has caused a lot of stir. In her book, Ms. Kane doesn’t praise Cook or make him look as though he is the brilliant leader that Jobs once was. She portrays him as uncharismatic leader who is not innovative in the least. Many people have criticized her book and cited some relevant reasons as to why they disagree with the book. Critics have noted that the outcome of the book was already set by the author before she finished the book and that she dismissed the information that was not in line with her view. An accusation like this one is very serious and could discredit the author. This argument, held by numerous critics, contrasts with the author’s assessment of her own work, when asked if her view changed during the writing of her book. 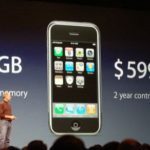 Q/ Did your ideas and perceptions of Apple and Tim Cook change while writing the book? If so, how and why? Is her assertion correct? 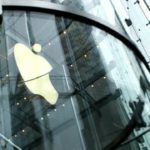 Has Apple lost its rank at the top of the game? The evidence suggests that she is right. The voice system Siri, is not as revolutionary as Apple claimed that it would be. Let’s not forget about the failure of the Apple Maps. Cook’s response to the Apple Maps debacle was to fire the person responsible for the failure. Is that what a charismatic leader does? That’s an open question for the readers to answer by themselves. One of the most important critics of the book is Mr. Cook himself, who spoke about the book on CNBC. He referred to the book as “nonsense” and said that it fails to capture the real essence of Apple and its leadership. In response to these comments, Ms. Kane stated that if he had such an emotional reaction to the book it is because it must have touched a nerve or two. Is Apple still fresh fruit? Is the new leader going to take Apple to new levels or will the company slide down? Only time will tell what will happen with the company. In the meantime, anyone serious about Apple should read this book to better understand the future of the company.